The Nebula is formed by the active Wolf-Rayet star in the middle, but as we know, the main feature appears against the rich HII backdrop of the Cygnus region. No part of this region is free from nebulosity. The poor point in this image is the star shapes. 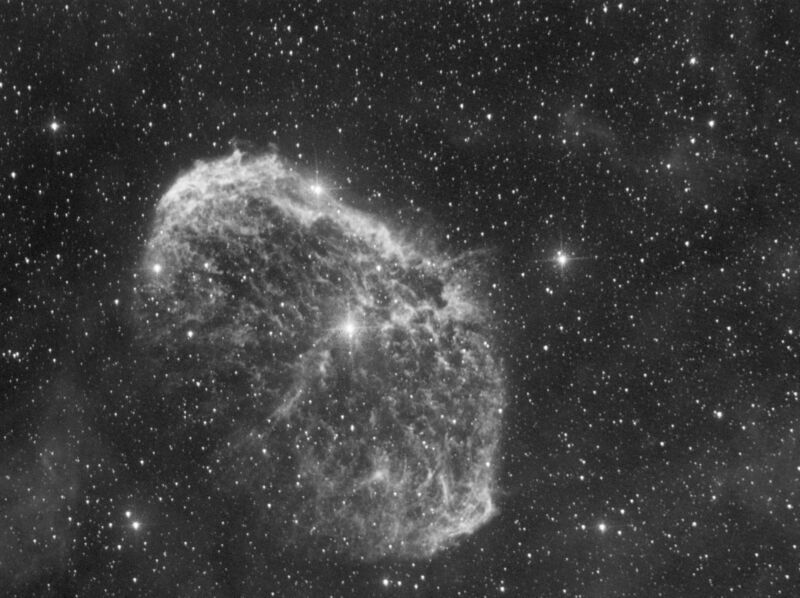 I was still learning how to make the homemade system do proper declination guiding, and the stars are terrible, but the nebula itself is not too shabby.